For a limited time, receive a free Meguiars W7207 Soft Buff 2.0 Cutting Pad, 7 inch with your purchase of this kit! A retail value of $12.99! Bring your paint back to life! Meguiars MT300 Ultra Polish Kit with 5.5 Inch Pads removes swirls with a highly effective combination of Meguiars #105 and #205 polishes and compact foam pads. Smaller pads and Meguiar's micro abrasive technology maximize the performance of Meguiars MT300 Polisher to correct paint effectively without the need for a rotary polisher. Get smooth, swirl-free paint without the risk! Both Meguiars Mirror Glaze #105 and #205 contain micro abrasives which are of a consistent size and shape. These abrasives do not break down like diminishing abrasives. Therefore, micro abrasives provide constant polishing action with a long working time and minimal - if any - compounding swirls. Micro abrasive technology makes the Meguiars MT300 Ultra Polish Kit with 5.5 Inch Pads a simple and effective way to polish automotive paint. Meguiars MT300 Dual Action Polisher is a professional-grade dual action car polisher that enables users of all skill levels to achieve a flawless finish in their garage. The Meguiars MT300 Dual Action Polisher features a powerful 500 watt power and large 8 mm throw, enabling the MT300 to remove swirl marks, scratches and water spots with minimal effort. The Meguiars MT300 Dual Action Polisher features an ergonomic design backed by buttery smooth operation, reducing user fatigue during extended polishing sessions. The orange pad is made of firm, high density foam for scratch and defect removal. Use this pad with polishes and swirl removers. It’s an all around pad that will work on most light to moderate imperfections. The orange 5.5 inch pads are recommended for a dual action polisher with a 5 inch backing plate. 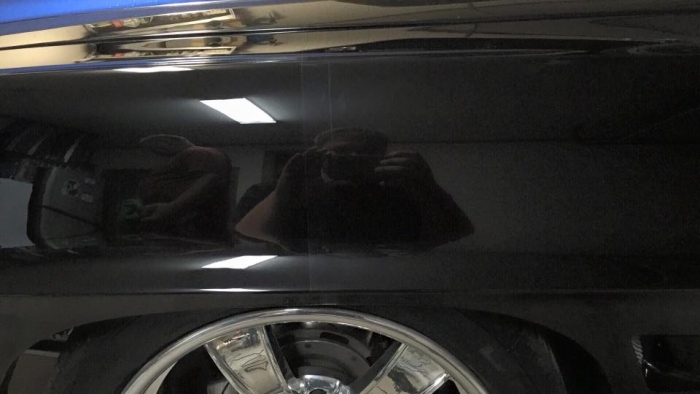 Use Meguiars Mirror Glaze #105 Ultra-Cut Compound first. Work at a maximum speed of 5-6 with the Meguiars MT300 Dual Action Polisher with an included light cutting pad. Work until the compound starts to dry. Wipe off the residue with a clean Microfiber Detailing Cloth. Follow up with Meguiars Mirror Glaze #205. Using a dual action polisher and a black finishing pad, work at a speed of 4 or 5. Work in a 2 x 2 sq. ft. area and wipe off polish immediately after polishing using a clean Microfiber Detailing Cloth. The power to restore your paint finish is in your hands with the Meguiars MT300 Ultra Polish Kit with 5.5 Inch Pads. A total retail value of $445.89. Save $105.90! ProsTakes away swirl marks great! ConsIt takes time and patients, but well worth the effort.